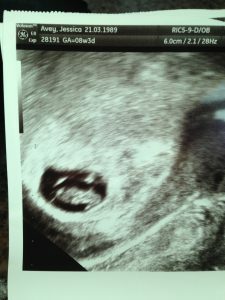 Week 8 – Scan number 2 – My how you’ve grown! Today me and Pete had our 2nd scan at the clinic. We went through the usual height, weight, blood pressure etc which was all normal and they took another load of blood tests. I’ll get the results for those later. 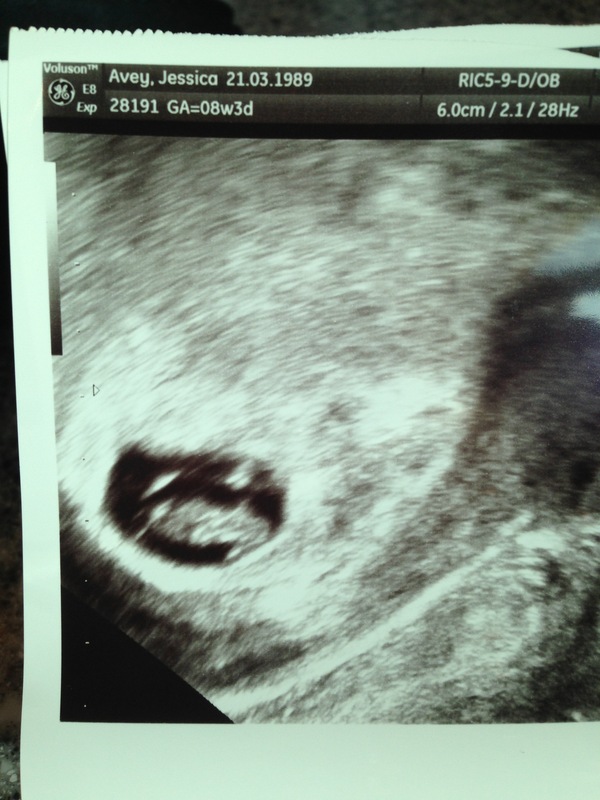 When the midwife got the scan up and running we couldn’t believe how big the tiny dot had gotten! We can’t really pinpoint what he/she looks likes apart from maybe a splodge so we’re going to continue calling baby Rabbit since there’s such a likeness in the last scan! We got to see the tiny flicker of the heartbeat and the midwife told us that everything was as it should be at that stage which is great! We’re not sure if we’ll be in Dubai or the UK for our next scan but we cannot wait to see how much the little Rabbit will have grown!